The E4 Approach Guiding Questions are meant to support and assist each other in becoming the very best teachers. These Questions could be used as a way to observe our peers; offering suggestions when teaching a new lesson or giving ideas on increasing student engagement. Think of The E4 Approach Guiding Questions as an opportunity for emphasis, examination and ultimately, excitement for professional growth. As educators, we spend time lesson planning, creating the best opportunities for learning for our students. But, those first 10 minutes of class - building relationships and creating the engagement and motivation for the lesson is as critical. Let me show you how to Focus, Reach, Achieve, Model and Encourage the First 10 Minutes of Your Class. Let me show you how to F.R.A.M.E.! This form helps the Coach in determining if the objectives of the relationship, the creation of the work and the implemention of the lesson were met. 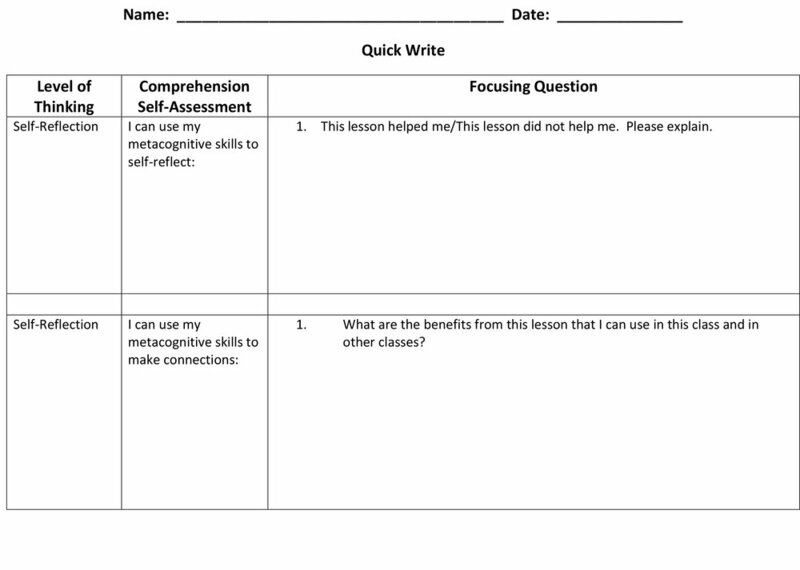 This brief student self-reflection assists the teacher in determining if the student understood the lesson and can transfer the skills taught within the lesson. In addition, page two asks the student to focus on the three literacy skills used and if they were helpful in comprehension. Use this form during your next Parent Teacher conference or during any conversation between you and a student. In this way, all involved know their roles and next steps in future student success.